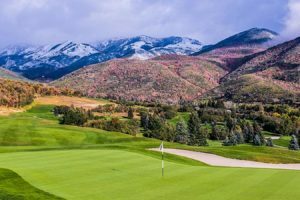 Set against the mountain backdrop of Utah’s world-class ski areas and the 2002 Olympic venue sites, Promontory’s scenic Painted Valley, is home to one of the most beautiful golf courses in the Rocky Mountains. Carefully planned to delight the senses and reward players of all abilities, this golf course has “wow” written all over it. 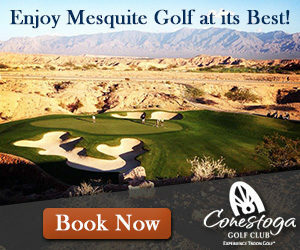 Check out more photography of the Painted Valley Golf Course. 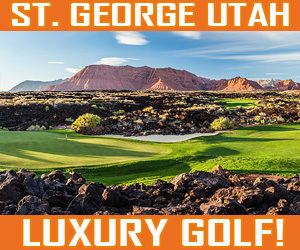 The layout looks gently placed in a secluded area known as the “Painted Valley”, located in the center of the Promontory property, offering players awesome views of Deer Valley Ski Resort and the Wasatch and Uinta Mountain ranges. 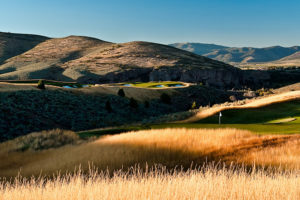 Arguably the greatest golfer of all-time and one of the well known modern-day golf course architects, Jack Nicklaus has created a masterpiece at Promontory. As Jack stated, “Promontory represented one of the best golf course design opportunities of my lifetime. The site is extraordinary and I was given the freedom I needed to design a great experience. 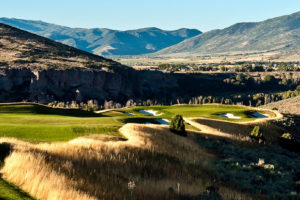 The Painted Valley Course is the second of up to five possible championship golf courses to be completed at Promontory, a 10-square mile private, family-friendly, luxury golf and ski community.